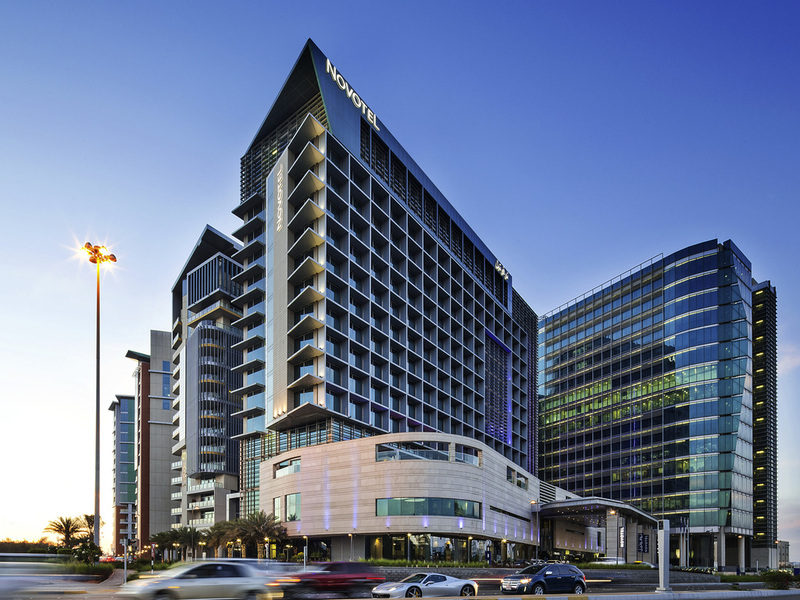 The stunning new 4 star Novotel Abu Dhabi Al Bustan hotel offers both families and business travellers the perfect welcome. Located in one of the capital's most exclusive neighbourhoods, it's just 20 minutes' drive from Abu Dhabi International Airport, and 15 minutes to downtown Abu Dhabi. Close by are Abu Dhabi National Exhibition Centre, Zayed Sports City, the Embassies district and the magnificent Sheikh Zayed Grand Mosque. Or shop your heart out at the Abu Dhabi, Al Wahda and Marina Malls! It was good experience, despite the time they took for check in to take our room, even though we arrived around 4:30, but it was good experience. Had a long layover and used the hotel as my base for several hours to recharge and refresh. Very affordable for the services and amenities provided. Great value and very friendly girls at check in. We arrived on Thursday ( 04.04.19) and checked in at 8.00 pm and was shocked to see your reception calling us the next day at 12.00 pm asking us to check out because those were the hotel rules and to quote her words &quot; It's a weekend and we have lots of customers, so you need to vacate to give space to other guests.&quot; Wow! My opinion you should atleast let the guests who arrived late to the hotel to stay extra hours until after 5-6 pm. My opinion. Apart from this experience, we really had a good time. Don't not ruin your hotel reputation by small issues. Good luck in the future! Hi ,, It was another great day at novotel hotel speciallyThe reception was friendly and accommodating like oriel, Fatima and sisi chen There were so nice to help and assist me during my stay . It was great, I enjoy my sleep because the beddings were very clean and soft. The environment was very serene. The most appealing thing was the breakfast. The breakfast was the best because it covers all meal type for different nationalities. However, the internet provision was highly metered, no WhatsApp call or video. That's the only thing I didnt like about your services. Excellent. Enjoyed every bit of it. This was our 2nd visit to the hotel. It is perfect for a family of 3 because of the comfortable pull out sofa bed. Add to that the large bathroom with a separate shower and bath (my wife likes a nice bubble bath), amazing hotel gym that is open 24 hours a day, great buffet breakfast with omelet station, lots of English channels on the television, great price and great customer service, there is no other hotel for us during our Abu Dhabi staycations. walls and room carpets need to be clean, breakfast look like lunch and 4 days no any changes, every thing was repeating! check inn was so late, we came on time but the room wasn't ready and we had a meeting so we left, we had plan to change our dresses before meeting since we came from Ajman but because the room wasn't ready we couldn't! We as a family love staying in Novotel Al bustan. The experience is made special because of lovely staff you have. Special mention about Ms Sabina Kola the duty manager. She’s just fantastic. This is our second stay at Novatel and will definitely be our hotel of choice when we are in Abu Dhabi. It is affordable, the pool is great and the breakfast offers so much. It was a comfortable and pleasant stay. Staff was very kind & welcoming. Very fast service upon arrival at reception. Room was very clean & rest room hygenic. Good view of the sea & city from 14th floor. Looking forward to visit again 8n near future. Everything was good and amazing. staff was helpful especially apreciate the help and effort by Javed at reception .